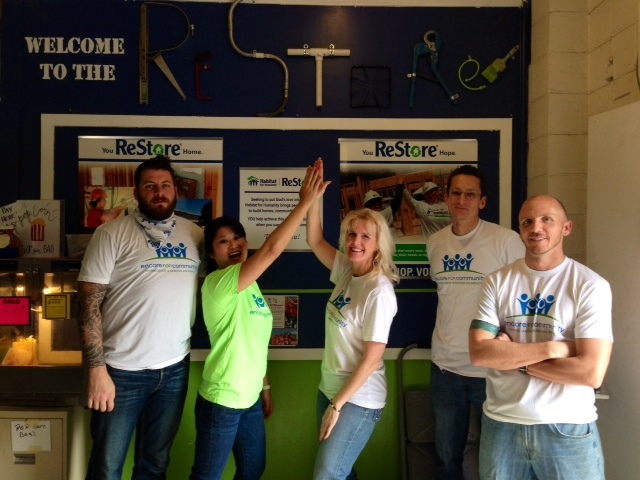 Our ReStore could not operate without the help of our volunteers, and Encore Capital Group has been redefining what it means to support us. They have dedicated themselves to taking on a regular ReStore shift one day each month. These regularly scheduled shifts are very helpful in keeping the ReStore operating smoothly because the volunteers take ownership of a project or department. “We find the work at San Diego Habitat for Humanity worthwhile and fun because we know that our efforts go directly to helping the community and people who the group serves,” said Marianne Campbell, Encore Capital Group’s Director of Corporate Social Responsibility. We are thankful for all of the volunteers from Encore Capital Group who dedicate their time to improving the lives of countless San Diegans! If your company, congregation, military, community or school group would like to set up a monthly shift in the ReStore, please contact us.